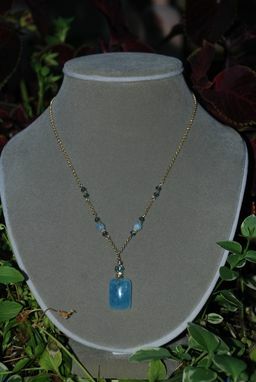 Aquamarine is one of my favorite stone to work with. 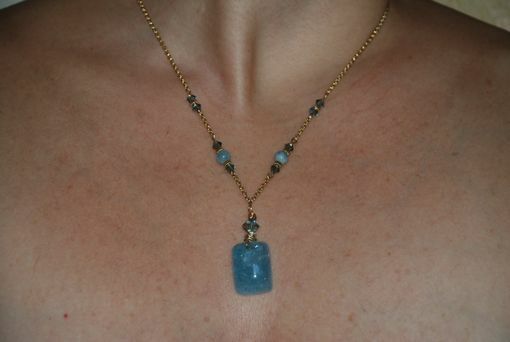 This is a rectangular opaque aquamarine hand wire wrapped onto a 10k solid gold roll chain. 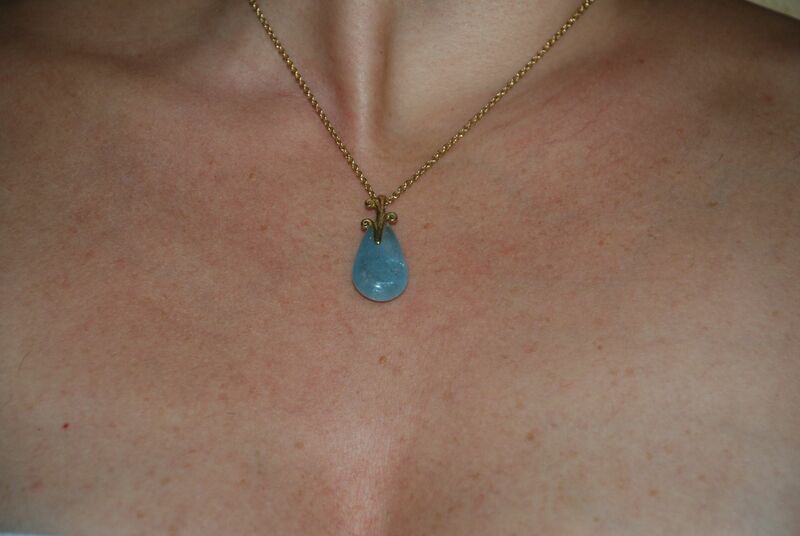 Two round aquamarine beads are threaded on to the chain and 14k gold-filled spacers added.